After updating to Ubuntu version 12.04 Precise Pangolin. 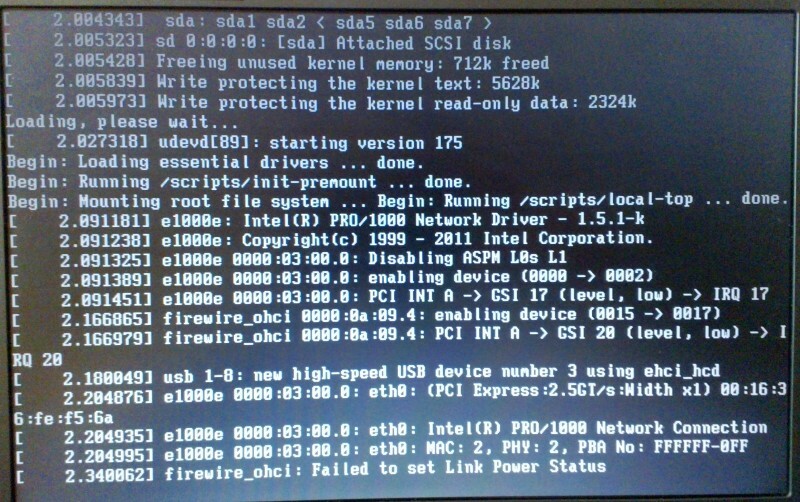 Everytime I try to boot with default kernel version: 3.2.0-24-generic the system hangs on boot. 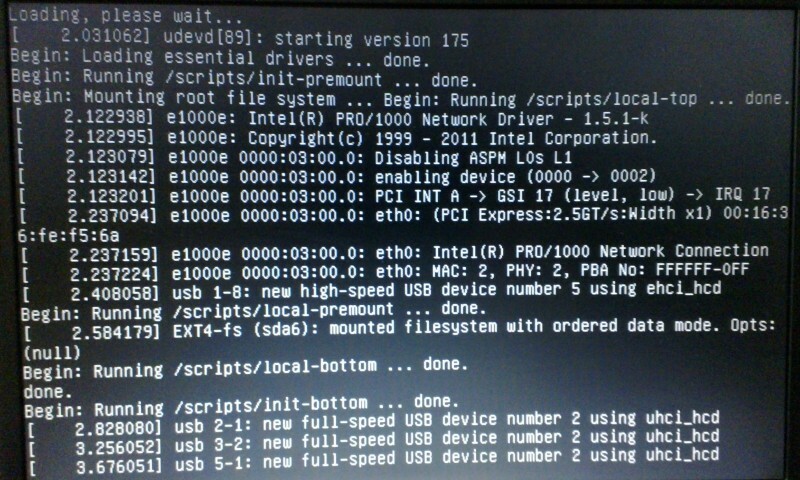 The system boots fine with previous kernel version: 3.0.0-17-generic. To change the source package that this bug is filed about visit https://bugs.launchpad.net/ubuntu/+bug/990510/+editstatus and add the package name in the text box next to the word Package. As mentioned on the wiki, it would be great if you can attach a log file which may have captured any messages you see. If you are unable to capture a log file, a digital photo will work just as well. As a last resort you can even copy messages down by hand. I've attached a digital photo showing last messages displayed before boot hangs. when you boot the machine, press F8 to get to the kernel selection list. mark the top line (the latest kernel) and press "e" to edit the boot options. I tried the workarround Nick suggested but got the same result with different messages. Please see attached picture. I tested using 3.4.0-030400rc4-generic and I can confirm that it fails in the same way as 3.2.0-24-generic. If I add blacklist=firewire_ohci to the kernel command line, as well as blacklisting it in /etc/modprobe.d/blacklist.conf, I can boot successfully. Workaround as described in bug #981936 worked fine for me. Rigoberto Calleja, this bug was reported a while ago and there hasn't been any activity in it recently. We were wondering if this is still an issue? If so, could you please test for this with the latest development release of Ubuntu? ISO images are available from http://cdimage.ubuntu.com/daily-live/current/ .